Many modern routers support two frequencies for wireless access, 2.4GHz and 5GHz. The 5GHz band is much less congested, so if you have devices that support 5GHz you want them on that band. At the same time you probably have older devices that can only do 2.4GHz. 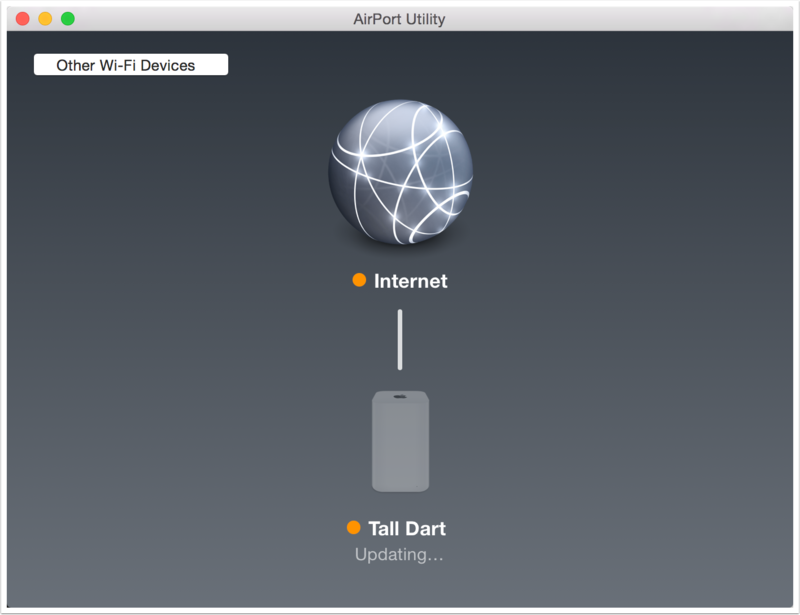 This tutorial walks through how to use AirPort Utility to change these settings. I start with the two bands set to have the same name and show you how to give them unique names. My AirPort is named Tall Dart, and you can see below that it has a green light next to its name as well as a green light next to the Internet name showing full functionality. The box next to the 5GHz network name is UNchecked. 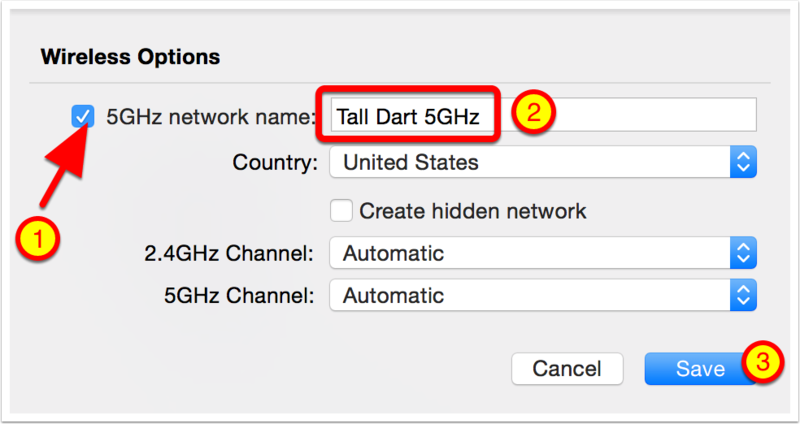 This means that both the 2.4GHz band and the 5GHz band will be represented by a single name, in my case Tall Dart. If both bands are the same name, each device that you attach to the network will automatically find the appropriate band. If a device can only use 2.4, it will attach to 2.4, but if it can go to 5GHz it will. Note: Some devices during initial configuration require a separate 2.4GHz band to which to connect. Examples I’ve encountered include WeMo Switches, Nest Protect thermostats, and HooToo wireless access points. 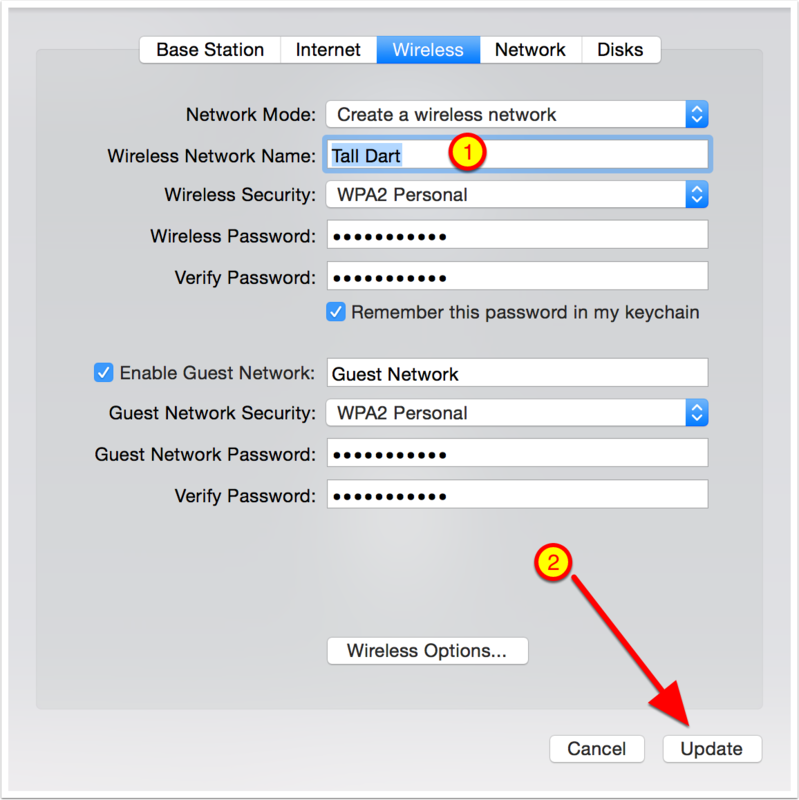 Once they are configured you can re-check this box to provide a single network name again. 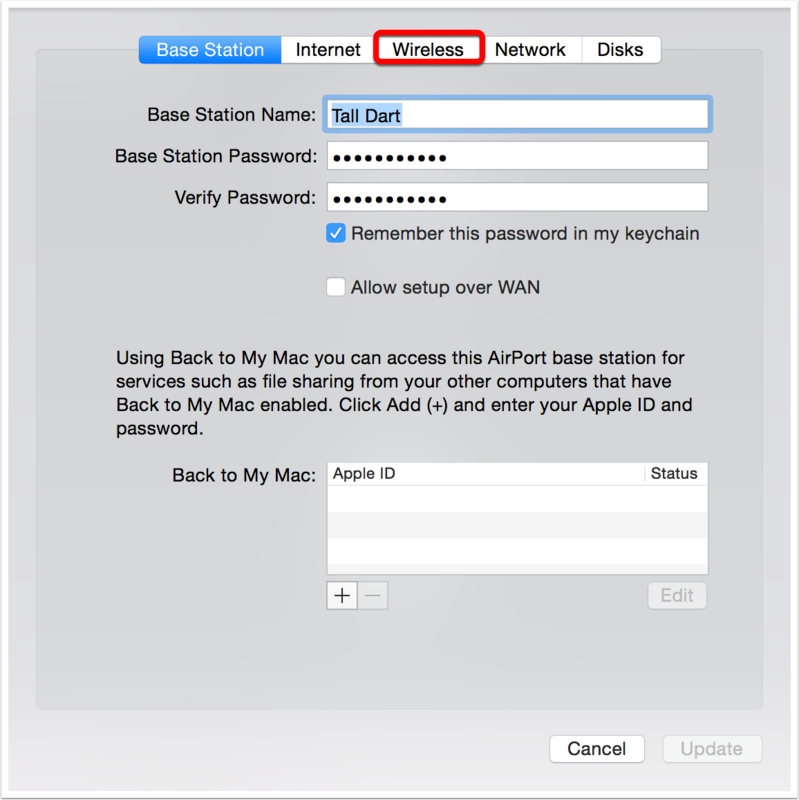 Create a unique name for the 5GHz band. 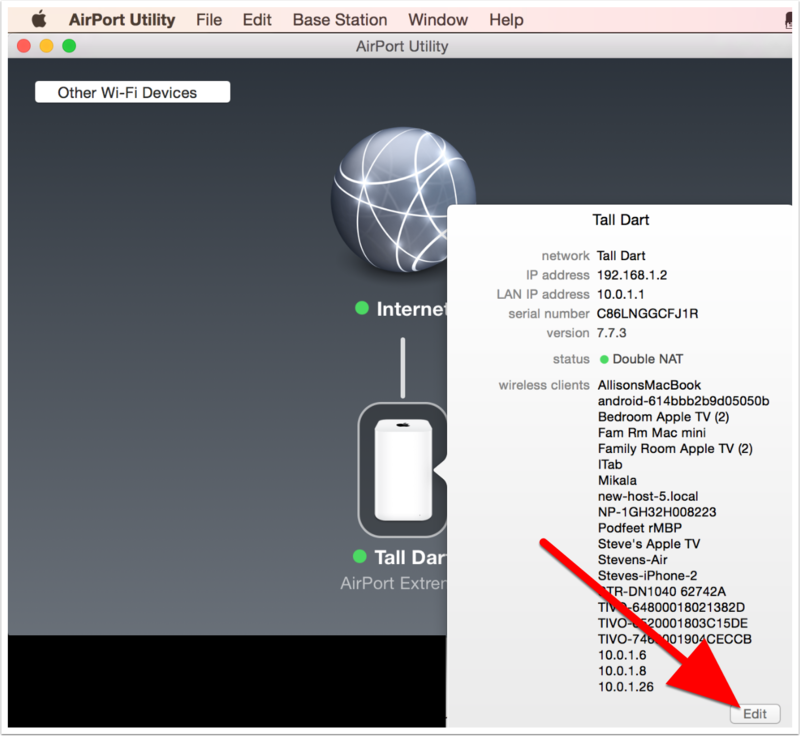 In this example I’ve chosen the name Tall Dart 5GHz. 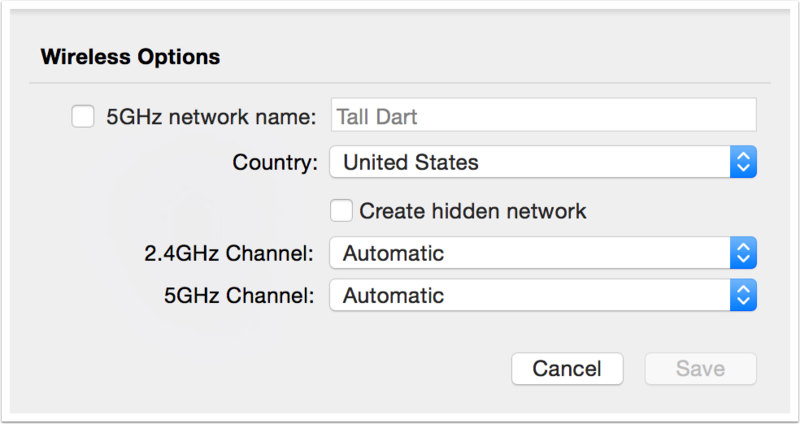 Note that this will leave my 2.4GHz band named Tall Dart, which means I should only have to move the devices that can go to 5GHz over to the higher band. 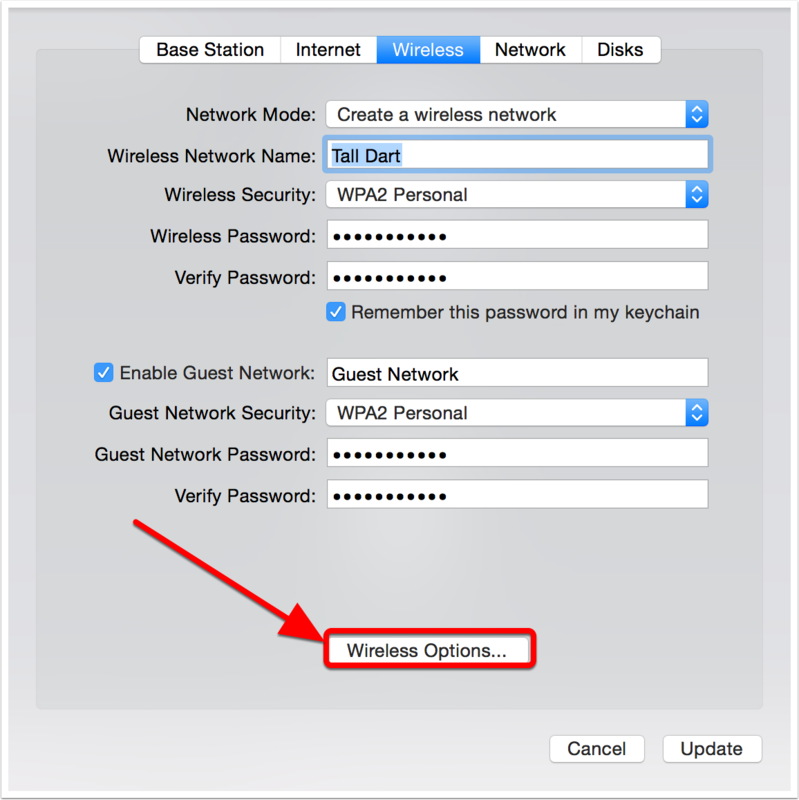 Optional – This is where you can change the name of the 2.4GHz band if you want to. You must hit update for the changes to be saved. 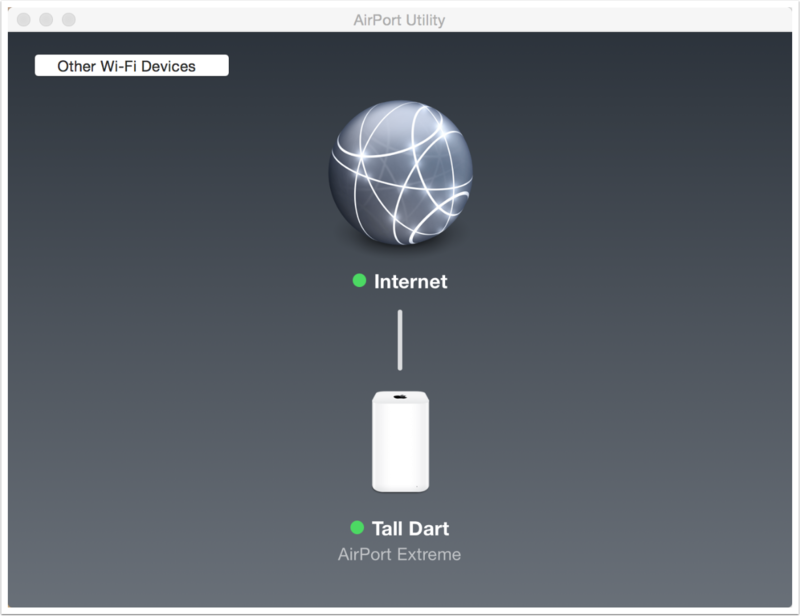 Note the orange symbols designating that the Airport Extreme is not available. When these turn green again you’ll be back in business.